Visionnaire online shop - Chromed brass wall lamp, oval lampshade of conical truncated cone in natural aluminium plates, pendants in Swarovski crystals, h 159 cm. 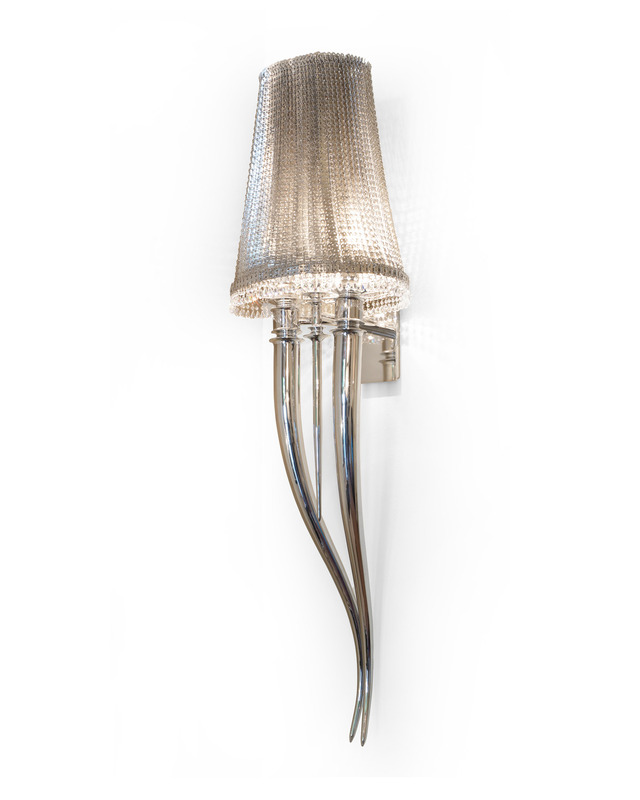 BRUNILDE BIG - Wall lamp decorated in Swarovski crystals. Dimensions 40x25 h159 cm. Designed by Alessandro La Spada, Samuele Mazza Chromed brass wall lamp, with with lathed aluminium details. Back steel plate for mounting on wall. Oval lampshade of conical truncated cone in natural aluminium plates mounted on galvanised steel structure. 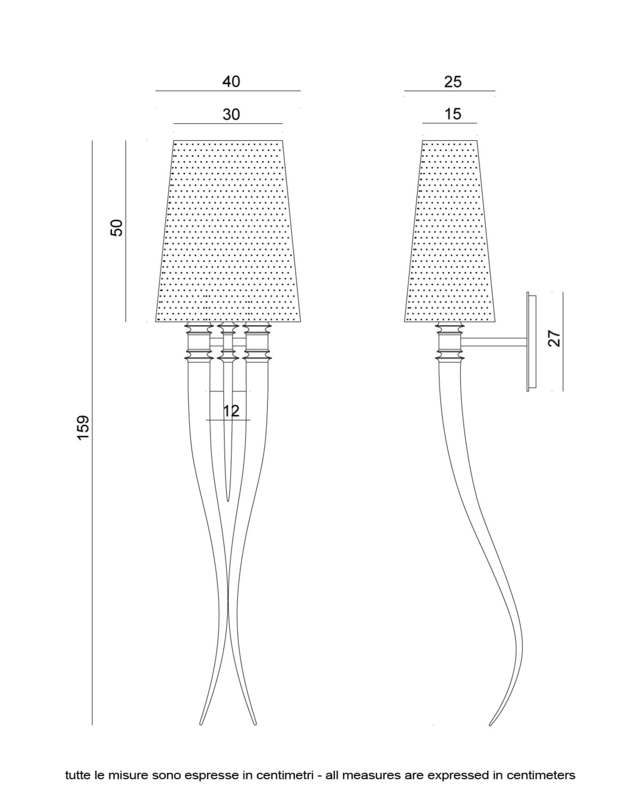 Wall lamp h 159 cm prepared for use with 2 light bulbs E27 max 75 W each. Weight 10,5 Kg.